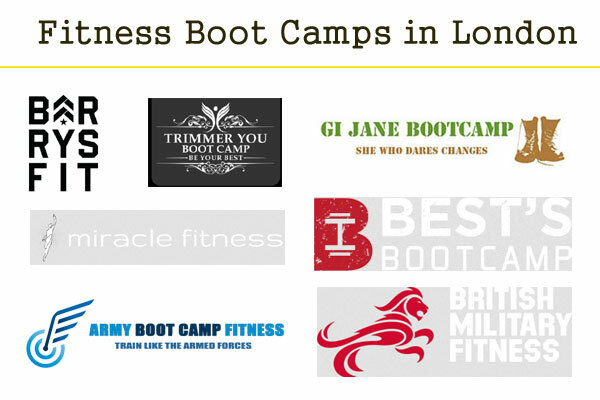 Here is a list of some of the best Fitness Boot Camps in London, England. List of UK’s best non-residential and residential boot camps based in and around London. 163 Euston Road, London NW1 2BH, UK. Weight Loss & Fitness Boot Camp From £349 in UK & Spain. Week Long UK Boot Camp, Mid-Week UK Boot Camp, Weekend UK Boot Camp. London EC1V 2NX, England, UK. Fitness training company specializing in Fitness Boot Camps for men and women in the South East of London. Bootcamps in Brockley, Crystal Palace, Beckenham, Croydon and Herne Hill. Army style fitness classes in London, England. 60 minute outdoor fitness class based on basic military physical training for people who want to build and maintain their fitness. Rainham, Essex RM13 9NJ, United Kingdom. UK’s biggest and best loved outdoor fitness classes. London N22 7AY, United Kingdom. Gym/Physical Fitness Center in London, United Kingdom. Located behind Charing Cross station. London WC2N 6NN, United Kingdom. Residential women only fitness bootcamp offering full week long bootcamp course (£995), Two Week bootcamps (£1800), Mid week bootcamps (£595), Weekend bootcamps (£399), and GI Jane Hell Weekend courses. London’s leading Outdoor Fitness Company. Offers more than 200 Boot Camp sessions a month across London – currently training across Fulham & Parsons Green, Clapham Common, Brockwell Park, Brixton, Tooting Bec Common, Battersea Park, Green Park, London Bridge & Highbury Fields. London based boutique fitness provider offers a variety of bespoke classes – Pre and Post natal Pilates, yoga and personal training etc. 225 Greenwich High Rd, London SE10 8NB, United Kingdom. Fitness, Pilates, yoga and dance studios based in Shoreditch, Queens Park, Kings Cross and Victoria. Personal Trainer, Group Exercise Instructor and Pilates instructor specialising in pre and post natal fitness for mums and mums to be in the West London area. Fitness training for mums-to-be, new mums and mums-on-the-run. Personal Trainer – Clapham, South West London and Surrey. Offers Personal Training 1:1, Small Group Sessions. Pre and Post Natal Fitness classes in London. Exercise specialists offering classes, private 1:1 and NCT group training etc. Outdoor workouts & bootcamps for women. Offers Group Outdoor Bootcamps, Bespoke and tailor-made Personal training, Pre and Post Natal Fitness etc. Fitness Boot Camp in London, United Kingdom. Europe’s leading weightloss and fitness programme with ultimate life changing results. Fitness Boot Camps are 1) Luxury Spanish Venue, 2) Somerset Classic Fitness Boot Camp and 3) Marrakesh Fitness Boot Camp. London W1K 5RR, United Kingdom. Yoga Studio, Pilates Studio and Gym/Physical Fitness Center in and around London. London, W2 6ET Ph. 0330 010 0210 (Choose Option 3). Page updated : 15th September, 2019.